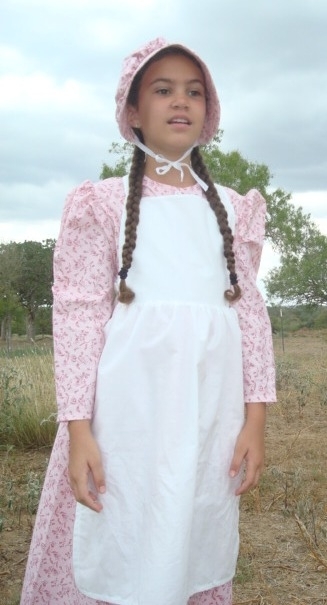 Lovely Prairie Full Length Aprons, crossover and tie in the back. Custom made in white or cream cotton muslin or choose a print here. If you are interested in a different color, please email us.